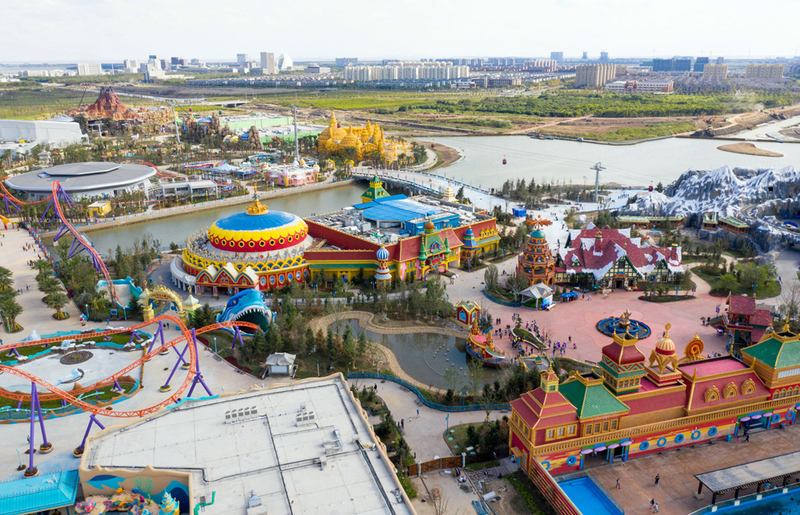 A new Ocean Park operated by China’s largest theme park company has opened near Shanghai. Alice Davis paid a visit. 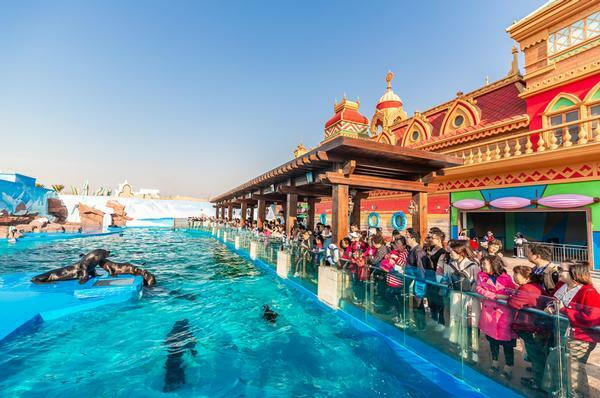 The newly opened Shanghai Haichang Ocean Park is located on the coast of the New Pudong District, perched on eastern China’s coastline, about 80 kilometres from the centre of the world’s most populated city. 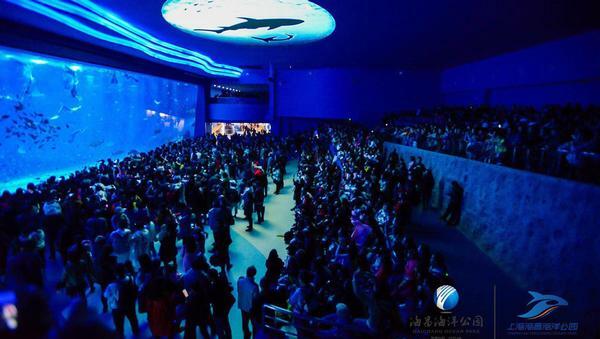 Supplemented by other attractions, Haichang Ocean Park Holdings currently owns and operates nine major marine theme parks across China. The US$795m Shanghai Haichang Ocean Park is easily accessible from downtown Shanghai by the number 16 Metro Line (CN¥10, US$1.50). From the penultimate station, Lingang Avenue, a shuttle bus reportedly runs. I expected a dedicated park bus yet saw no sign of one; however, you can take the regular 1135 public bus from the Metro station directly to its terminal stop right outside the park (CN¥1, US$0.15). The total journey is approximately 90 minutes from Shanghai, with the Haichang park farther from the city than the nearby Shanghai Disneyland. The area has a ‘middle of nowhere’ feel about it, but seems to be yet another new district that’s being rapidly developed; no doubt the zone will look completely different 18 months from now. For foreigners, it isn’t possible to book tickets via the park’s website as a Chinese ID card is needed to make an online booking. I had no trouble buying a ticket at the entrance on the morning I arrived (CN¥299, US$45). The park opens at 9.30am, when there were plenty of people milling around but no queues. Chinese citizens who buy online via their WeChat or Alipay app simply scan a QR code to enter the park. I was given a paper ticket and a map of the facility. I was pleased to find it was in English, as were many of the signposts and interactives in the park. This single-gate attraction is only open until 5pm – though this may be a seasonal schedule – and there is more than enough on offer to fill a day. The Qiulian River runs through the centre of the park, with two wide bridges connecting the two sections. Alternatively, visitors can take the colourful cable cars to traverse the site from the volcano-themed Whale Shark Hall at one end of the park to the snow-covered mountain Arctic Hall at the other. These large structures, alongside some of the more garish themed areas, stand out from a distance, making the theme park exceptionally easy to navigate. Surrounded by water and reasonably well planted with trees, flowers and shrubbery, the landscaping is very pleasant and the park infrastructure is built to a high standard. A monster orange and purple rollercoaster, Steel Dolphin, straddles the river and weaves through a large portion of the site. The park itself is divided into five different themed zones: Underwater Wonderlands, Ocean Tribes, Polar Town, Mermaid Bay, and Snow Kingdom. My first stop was the Coral and Jellyfish Aquarium. The ever-popular clownfish are on show here, swimming with other exotic reef-dwelling species, while the next area is a dark mirror-lined room filled with huge cylindrical tanks, each containing a different type of jellyfish. Inside the volcano, an enormous tank hosts the mermaid show, featuring six mermaids and a further four performers, who were graceful and quite beautiful. But it was their freediving skill in a tank that must be some 30m (100ft) high that was the most impressive feat. Other tanks in the zone are home to several different species of shark. As with all the ocean life on display, the animals looked healthy and their habitats were clean and well maintained, though I believe that some of the larger species like the belugas and manatees should have had significantly larger aquariums. There are several live animal shows on offer at Haichang’s park. I attended the dolphin show at 11.30am, which featured four dolphins and trainers performing to an audience inside of an indoor theatre. At the orca show, two orcas and their trainers performed. The trainers did not get in the water but controlled the animals by gesture and reward. The orcas performed several leaps and splashed the crowds with their tails, and are also trained to jump out of the water onto the pool’s shallow platform a few times. The whole event was bookended by a story about a little boy who dreams of his cuddly killer whale toy coming to life to take him on an underwater adventure, shown on a gigantic screen above the outdoor pool. The premise of the story is that we will learn to love sealife more and become “caretakers” of our oceans, but entertainment, not education, is certainly the core driver of these live cetacean shows. The orcas and dolphins looked healthy and neither of the shows lasted more than 20 minutes. Although the orcas didn’t demonstrate purely ‘natural behaviours’ as SeaWorld now pertains to do, the activities did not cross the line into what could be described as a ‘circus’ performance. Both shows were full to capacity and the thousands-strong audience went wild. However, I can’t help but ask when the attractions industry will formally and unilaterally denounce the building of any new parks with captive killer whales. Over in the Arctic Hall and Sea Mammal Habitat, visitors can see the rest of the park’s animal exhibits, which include sea lions, otters, spotted seals and penguins. Double-to-triple height aquariums allow visitors to view the animals from both above-water and underwater aspects. For the larger land-based mammals there were concerns. Both the arctic wolves and the two polar bears were pacing repetitively to and fro in small, artificially-lit, indoor glass-front enclosures, often skidding on the concrete floor, with little enrichment or stimulus provided and nothing to help create a naturalistic environment. An animal park that is striving to be world-class should do better for those animals. At the time of my visit, the WhiteWater-developed Fire Falls spinning river rapids ride was still under construction and the Snow Train that navigates the Arctic Hall mountain was down for maintenance. 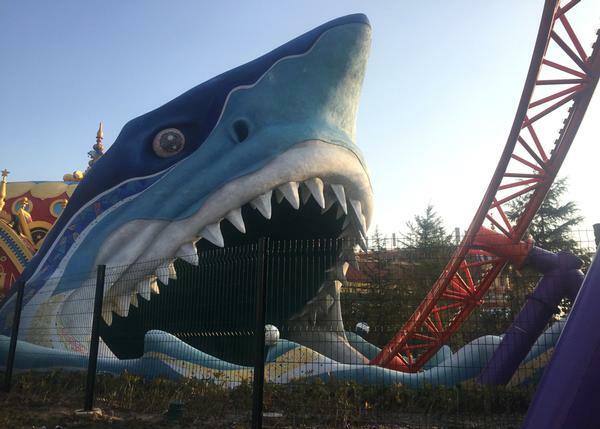 Intamin’s Steel Dolphin launch coaster, however, was running and offered a fun-filled thrill ride covering more than a kilometre of track around the park, at one point plunging into a shark’s open jaws. Ocean Park has a wide food and beverage offering. Included in the park are an array of concession stands and themed restaurants, including the Whale Shark Restaurant, Sandcastle Restaurant, Penguin Restaurant and Dream Dessert House. 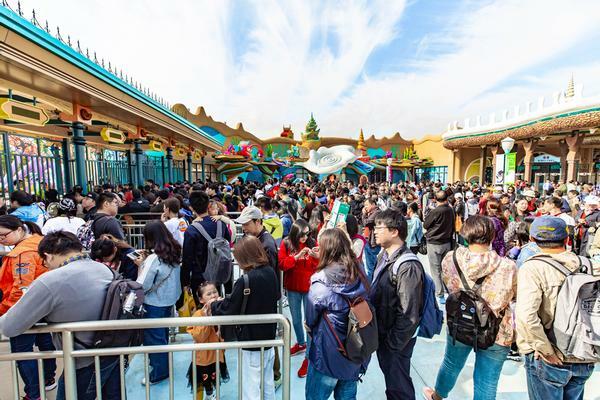 There are numerous opportunities to purchase Haichang’s merchandise, much of it inspired by the brand’s “Seven Guardians” – cartoon creatures who appear throughout the park. The staff were friendly and professional, always on hand to give directions or tell you the next show time. From the big (like the 309-bedroom on-site resort hotel) to the small (like the gender-neutral toilets and pushchair and wheelchair rental), Ocean Park’s facilities are hard to fault. All in all, especially once the other rides open, this is a well-designed park with an exciting mix of both magical and thrilling experiences. There are more than enough ingredients to make this park a success – even without the ‘star attraction’ of the orcas. Have you worked with Haichang before and are you working with them again? Shanghai Haichang Ocean Park was our first collaboration with Haichang, and hopefully won’t be our last. We have a great deal of respect for Haichang’s mission of raising the standard of animal care in China and hope we can help them as they continue on that journey. What was their brief and what was your role in the project? 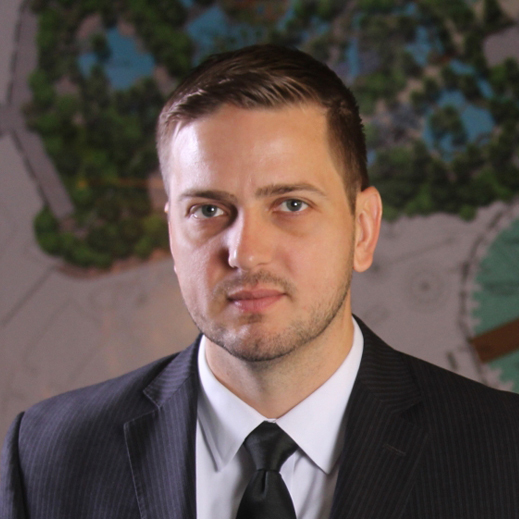 Our mandate back in 2015 was pretty clear cut: Haichang wanted to create China’s greatest sea life park, both in terms of scope and scale, but also in terms of the latest trends and technologies in habitat design and animal husbandry. The park is located only about half an hour from Shanghai Disneyland, so the bar was very high of course. With around 15 per cent of what was spent there, we needed to create a full-day park that would stand up to the scrutiny of Shanghai’s extremely sophisticated audiences. What do you like most about the completed park? For me personally, the level of integration in the park is a huge win. Most domestic Chinese theme parks fall into the trap of being “cookie-cutter” in their design – walkway here, ride over there, then rinse and repeat. 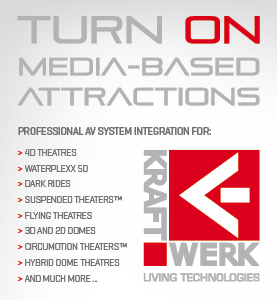 We strove to integrate everything in order to create a park that is more visually interesting and kinetically thrilling. This park represents a huge leap forward in not only China but all of Asia.